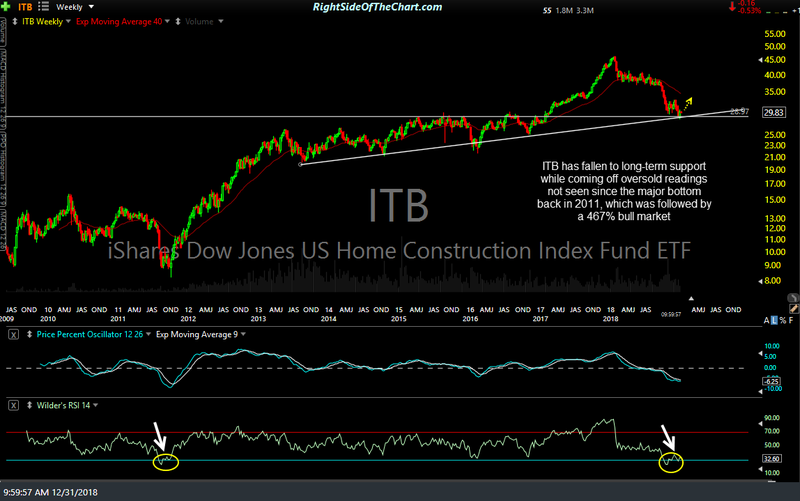 One additional consideration to be made in determining one’s position size, should you decide to take this trade, is that I am considering adding some individual stocks with the home construction sector (homebuilders, home improvement stores, lumber companies, etc.) & will post a video later today highlighting some of the individual stocks that stand out as potential swing trading candidates. As such, one might opt to earmark a certain portion of their available funds that they plan to allocate to the home construction sector. 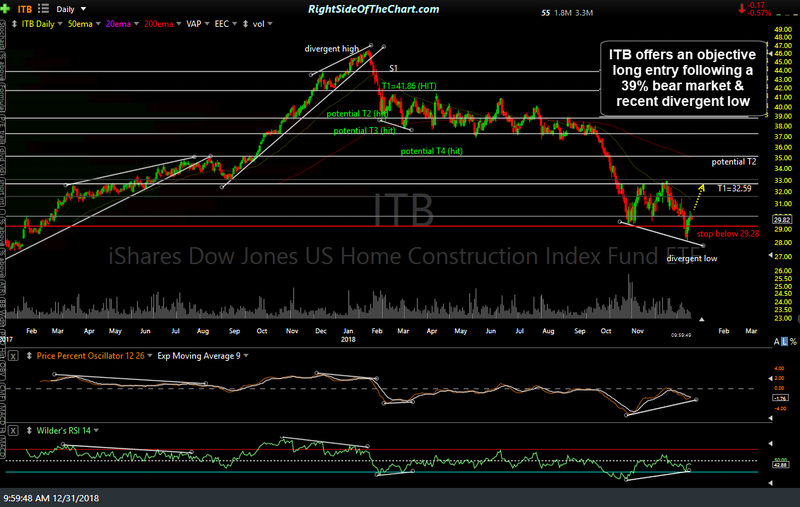 Also, note that XHB (SPDR S&P Homebuilders ETF) is another alternative to trading the homebuilding sector. Down trend-line on the daily has me worried, I see a scenario where we reverse around $30.80 or so, hope I’m wrong.